For enthusiast gamers, Windows 10 was a big downgrade from Windows 7. Microsoft thought it was more important to implement useless mobile features and more junk services, instead of making a fast and stable platform. The best fix there is for Windows 10, is to uninstall and get Windows 7 instead, but if you are stuck with Windows 10, then these fixes will come in handy. 4: Fixing Windows 10 after the "Creators Update"
These are he most important general optimizations/changes that will make Windows 10 less annoying to deal with. Windows 10 has this "feature" of constantly sends user-data to Microsoft. Who knows what data, and it's completely useless for YOU, and uses both CPU resources and internet data. Open settings and go to Privacy. Select Feedback & diagnostics and turn it off. While this may or may not be useful on a mobile device, it's definitely not useful on a gaming computer. Open settings and go to Privacy. 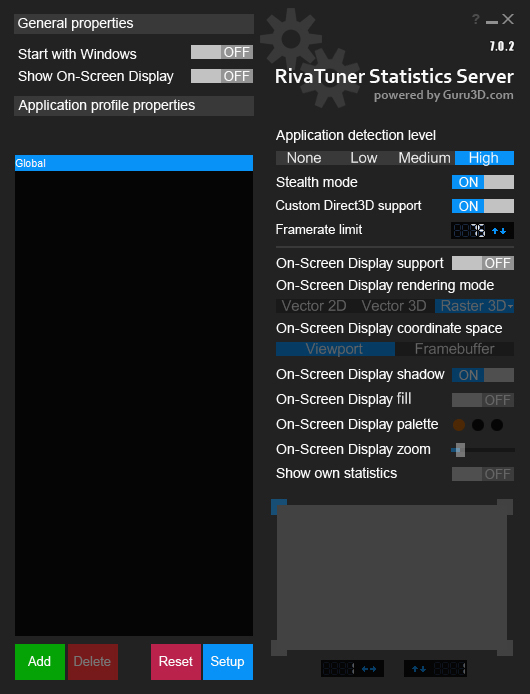 Select Background apps turn them off. If you would like to manage your files yourself without having to setup permissions every single time, this file will add "Take Ownership" to the right click menu. It will give you ownership of everything within a folder with just one click. Download the file and unpack anywhere. Double click the file and click OK. That's it. Both these features are practically useless. They just take up resources, and do a really bad job at protecting anything. 1: Control Panel. Windows Firewall. Turn Windows Firewall off. 2: Control Panel. Windows Defender. Turn everything off. Note: Just don't turn the Windows Firewall Service off, or the Windows Store won't work. - Yes, completely illogic. Maps are great for mobile devices, but for a stationary gaming PC it's just a waste of resources. Open Settings and go to System. 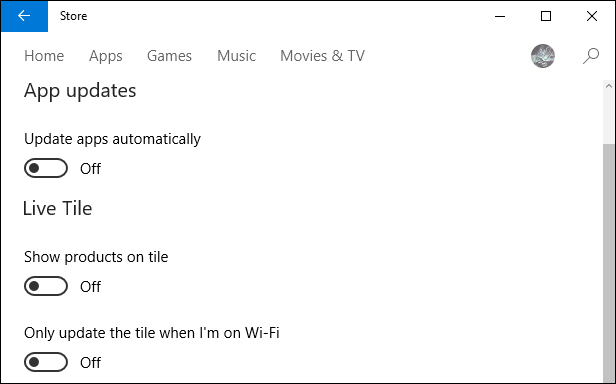 Select Offline Maps and turn everything off. Windows has a bad habit of launching forced Windows updates at any random time, without the option to pause or postpone. Very very annoying and unprofessional. You could be in the middle of a software installation or an online meeting.. I recommend disabling Windows auto update, and just check for updates manually instead. Same reason as above stated. Auto updates of apps are extremely annoying for gamers that play online. Open the Windows Store. Click the user icon and select Settings. Turn App updates off. Windows 10 has more services running than any previous version of Windows. A lot of them are completely useless for most people, so there is absolutely no reason for them to be running all the time. This is just a short list of the most useless services that I highly recommend to disable. To disable a Service, open op Computer Management. 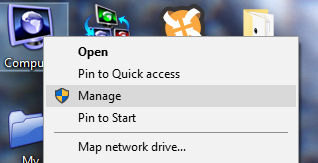 Right click the Computer icon and select Manage. Right click the service you want to disable. E.g. "Adobe Acrobat Update Service". A ridiculous service that runs all the time, taking up resources, just in case there is a new update for Adobe Acrobat. Stop the service by clicking Stop under Service Status. Now select "Disabled" from the Status type menu. This will disable the service from being launched in the future. The function will still work, so you can still update Adobe Acrobat. The service will just not be running constantly in the background. 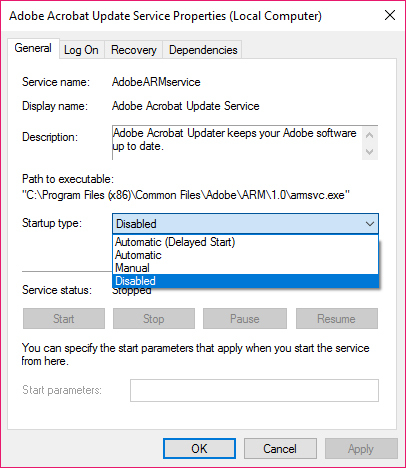 If you set the Startup type to "Manual" instead of "Disabled", that just means that Windows won't launce the service at startup, but other applications are still allowed to start the service. In this case I recommend "Disabled", as this service is 100% without purpose. *Unless you use multiple Adobe products. If you just use Photoshop, then you can safely disable this service. *Essential service, so don't disable. But it works just fine by being called upon when needed, instead of running all the time. *Unless you actually use your computer and Microsoft Maps for navigation. *Unless you actually use infrared. I just have heard of anyone that does. *Unless your computer has a built-in sim-card and can use a regular phone line. It's a needed service for a mobile device, but it has absolutely no place in a gaming computer. *If you like this feature, leave it. 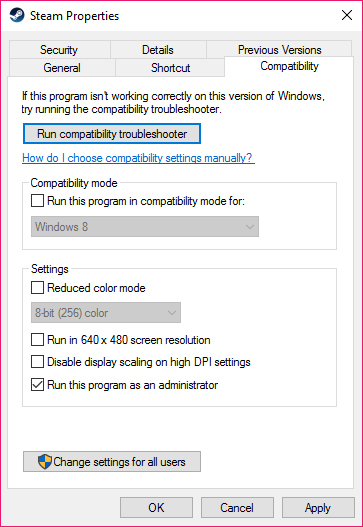 Personally I have never seen it successfully fix any compatibility errors, not one single one. *Leave if you actually like the Windows Security Center. *This will not disable "Search". This is actually the dreaded Indexing Service, just using a different name. This is probably the most important service to disable. Unless disabled, then it will start indexing ALL files at random. Depending on your storage, this "service" can render your computer unusable for hours, while you get absolutely no gain from it. The dreaded RuntimeBroker has caused many Windows 10 users a headache. The service doesn't have any important functionality, but it has a habit of randomly taking up a lot of resources. You can't disable this service the usual way, as Windows protects it. You can open the task manager and "EndTask" every time it runs, but it will just start itself minutes later again. However, this "service" can still start, even when disabled! If it doesn't, then just skip the next step. If it does, then you have to delete the files as well. Step 2: Deleting the files. The RuntimeBroker files are locked, so you can't just delete them, even after taking ownership, as shown in the general tips. You can however download a free program, that can remove the files during reboot. 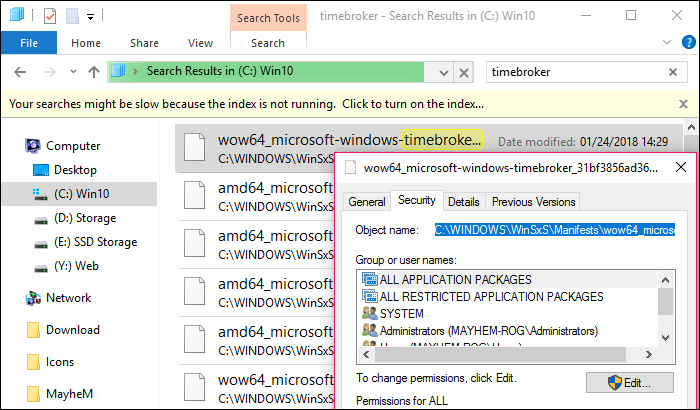 Make a search on your System drive for "timebroker". Right-click the results one by one and go to Security. Here you will find the file path. Copy the file paths and paste them into MoveOnBoot. 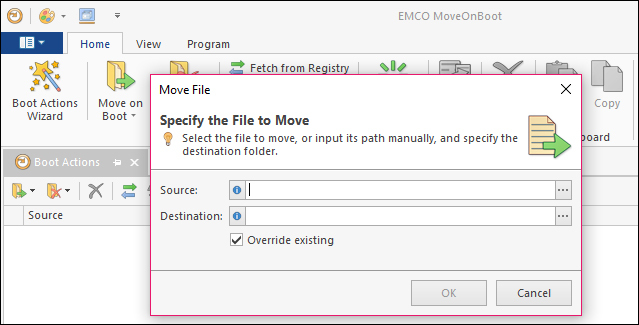 Click the "Move on Boot" button, then paste the file path into "Source", then make a temporary folder anywhere, and put it as "Destination". Click "Ok", and repeat for the next file, till you have added all "timebroker" files. Make a new search for "Runtimebroker", and add all files to MoveOnBoot. When done, click the "Restart Windows" button. After restarting, RuntimeBroker should not be bothering you again. While Cortana was a cool AI in Halo, she is terrible in Windows. Ask yourself, has she ever been useful? ..Even once? She uses CPU and memory resources all the time, and sends data back and forth to who knows who, even when disabled. This little script will remove her completely from your system. *Note that you can't bring her back again after running this. Download and unpack the file anywhere. Right click "Uninstall Cortana.cmd" and select "Run as administrator"
Wait till the script is done, then close it and restart Windows. That's it, Cortana is gone for good, and she will no longer be tracking and reporting your every move to Microsoft. 4 - The Creators "update"
As a new "feature" in the Creators Update, Windows's system d3d files now take priority over local d3d files. (Those inside the game-folders). This causes all kinds of errors. Crashes, messed up graphics, extreme slowdowns, and some games that won't even launch. Graphical renders like ENB or ReShade have very little chance of working, and even less chance of working correctly. It's a mess to say the least, and the new "Game mode" feature doesn't help. Unless disabled, this "feature" will cause even more problems. Fortunately this can be easily fixed by following the below steps. Unfortunately it won't fix the games that won't launch, but it will all the crashes, slowdowns and messed-up graphics. Game Mode is just another useless OSD with some recording features. It has no purpose, and it causes problems in several games. Open settings and go to Gaming. Disable Game bar, Game DVR & Game Mode. 5: Install the latest RivaTuner (LINK) *Important! Download, unpack and run the installer. *If the installer doesn't work, download this zip instead (DOWNLOAD) *Unpack into the "Program Files (x86)" folder, and click the "Reg.reg" file. Info: RTSS Rivatuner Statistics Server is a small tool that forces Windows 10 to use the d3d files from within the game-folders instead of inside Windows's system folders. It needs to run in the background while playing, but it only takes up about 8mb RAM and 0% CPU, so you won't notice it's there. After installation, launch the tool. It will show as a blue-ish icon in the notification area of the taskbar. Right click it and select "Show" for settings. Launch this small tool every time you want to play a game, or simply enable "Start with Windows". This is a Windows error that happens quite often after hours of use. Windows is suppose to always hide the task-bar when a full-screen application is run. This does however, for the first time in Windows history, not work very well. 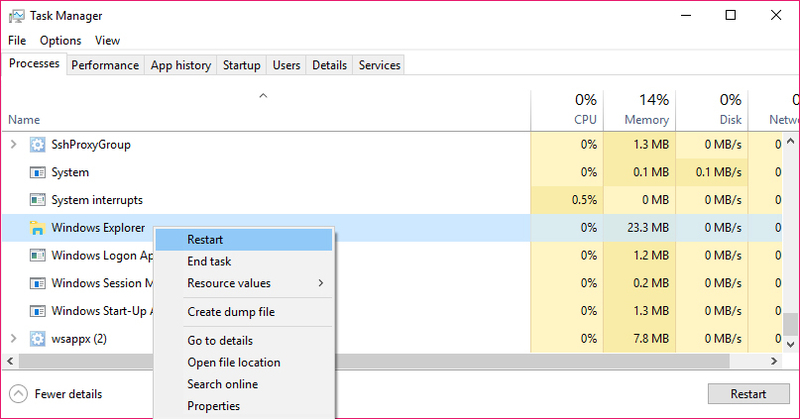 Fix: Open the Task Manager and restart "Windows Explorer". For reasons unknown, Steam removed the Group notification settings in their latest update. 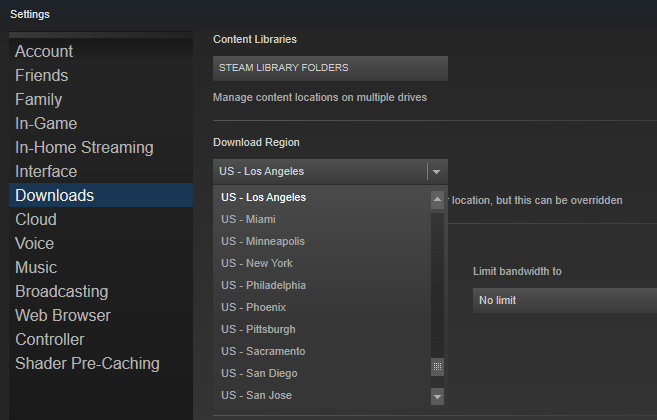 After the update, the Steam client would keep your setting, so for most people it's not an issue. However, if you reset your cache or reinstall Steam, then you are stuck with the very very annoying Group notifications in-game, unless you completely disable the Steam overlay. Very annoying, but fortunately there is an easy way to fix it. Open the Steam user folder, and open "localconfig.vdf" with Notepad. Usually found here: "C:\Program Files (x86)\Steam\userdata\<yourID>\config\localconfig.vdf"
Find the string, "Notifications_EventsAndAnnouncements" and change the value to "0". Save. *If you have several IDs and don't know which one is yours, just edit the localconfig.vdf file inside all ID folders. If you only see a black screen when playing full-screen video, you might be able to fix it by turning AA off in your graphics drivers. Open up the graphic driver settings and select Steam as specific program. Then set AA as "Application-controlled". It sounds unlikely, but Steam video will actually not play in full-screen, if the graphics drivers are set to force AA. If this doesn't help, switch to another server. *The one closest to your physical location is not necessarily the fastest. First check it the Steam Overlay is turned on while in-game. If Yes, and the screenshot feature still doesn't work, then launch Steam with administrator rights. Right-click the Steam client shortcut and go to Compatibility, then check "Run this program as an administrator". Stem will warn that it's not a good idea, but it will work just fine. 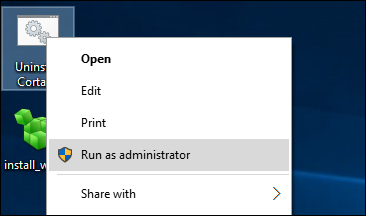 As soon as the screenshot feature works again, you can uncheck the "run as admin" again.